These are 50 CD/DVD capacity Cakebox (aka Beehives) Cases. The case has a black base with a rod in the center that stacks the CDs on top of one another. It has a clear cover to protect the CDs from dust and general wear. This is a perfect item for storing data and music CDs that you want quick access to! 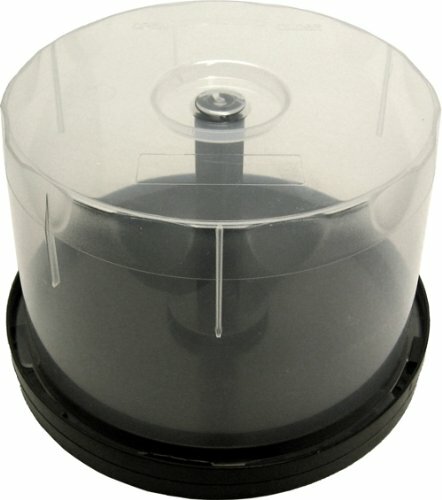 These hold 50 CDs/DVDs in one condensed location - perfect for cutting down on storage space! Great for organizing your software that often clutters up space!